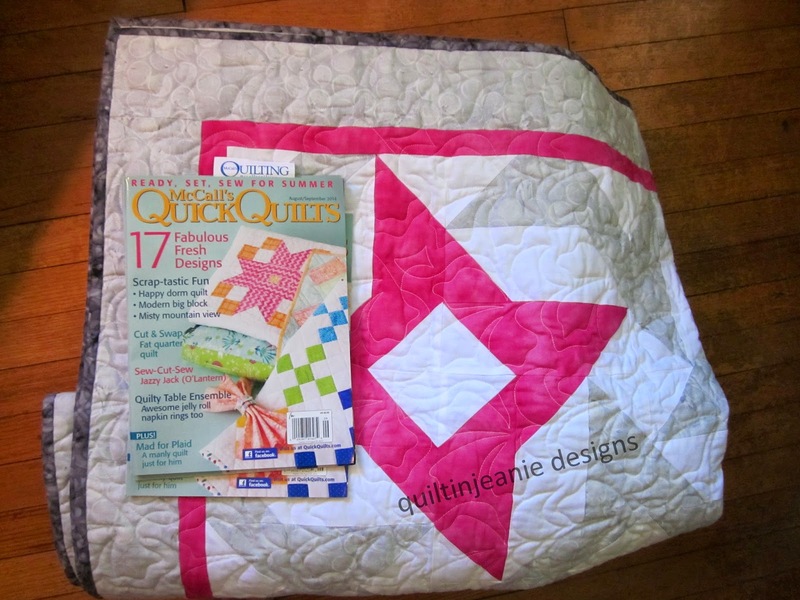 Jean's Quilting Page: Fade to Pink in McCalls Quick Quilts magazine and a giveaway! 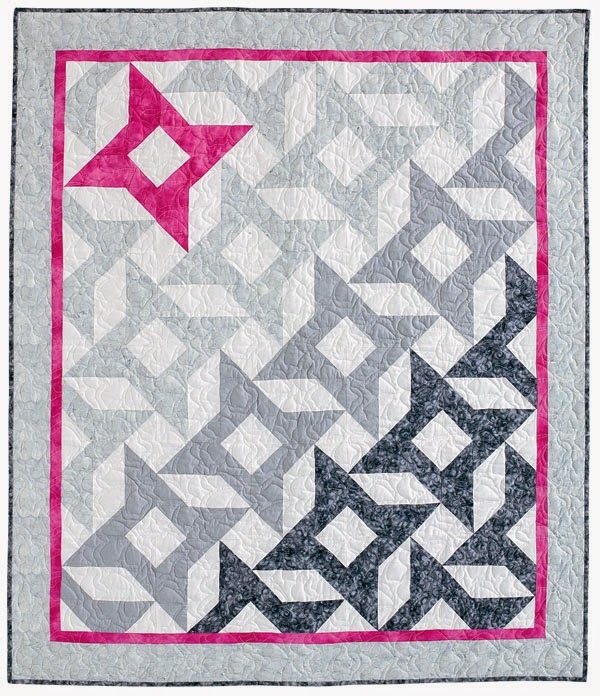 Fade to Pink in McCalls Quick Quilts magazine and a giveaway! 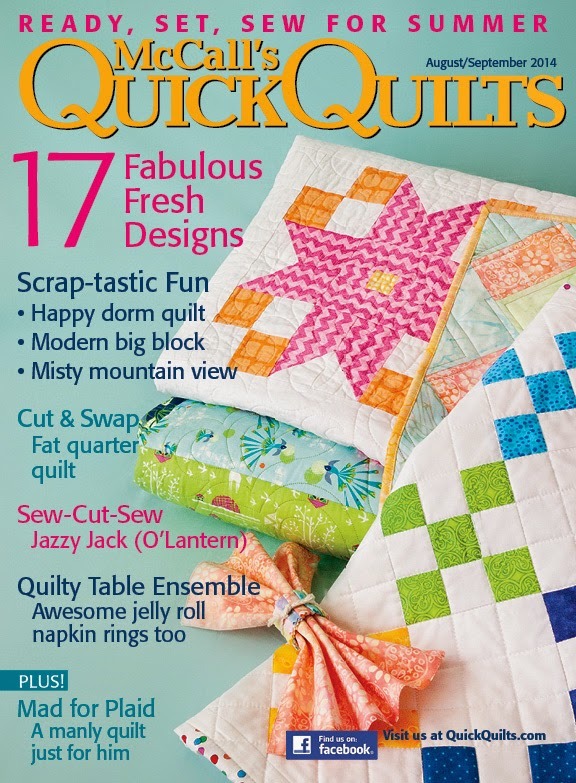 I am excited to share some news...my quilt, Fade to Pink is in the newest edition of McCalls Quick Quilts magazine! I'm not sure how many people take pictures of their quilts coming home from a journey (possibly really silly? ), but it's almost as exciting getting it back as it was to send it. Especially since I knew there would be advance copies in the box with the quilt! They even sent me a couple of magazines to share...more about that in a minute. The cover is so summery and pretty! Now for a sneak peek into the magazine. I have always loved quilt magazines...where else can you get 10 - 12 project patterns for $6? The inspiration alone is worth that much! This quilt is becoming well traveled...it was accepted into the AQS Modern Quilt Challenge at the Des Moines show last year. Since Des Moines is fairly close, I was able to go and see it there with friends. Here are some closeups of the quilt as I took it off the quilting machine. I used the Leafage panto by Keryn Emmerson to quilt an all over pattern. I like the way this panto interlocks from row to row. Because I'm so excited about this publication, I'm hosting several giveaways over the next week! 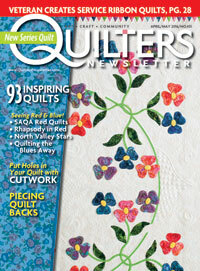 McCalls Magazine generously gave me two copies of the magazine to give to two lucky quilters! You will love this issue, believe me! Kimberly at Fat Quarter Shop gave me a $40 gift certificate to give to one lucky quilter!Who wouldn't want to win that! If you haven't been to visit Fat Quarter Shop lately, now is your chance to see all of the gorgeous fabrics they have. It's fun to shop at your leisure from the convenience of your home. Enter NOW! and stay tuned for more next week! Just a reminder: if you come up as noreply comment, I won't be able to contact you if you win. Please put your email address in the comment! Congratulations! I love that you are getting so much experience in pattern creating. And thanks for the giveaways! LOVE your colorways and this pattern! I wouldn't change a thing, your colors are perfect!!! Jean, it is gorgeous!! Love it! I love this pattern. I find greys to be a little depressing, though. I would use blues or shades of teal and white for my version. Wow!!!! would love to make this quilt just the way it is!!! Love how the pink pops!! Congratulations! I would love to try this pattern with a featured material (perhaps the Iowa Shop Hop 2014) and different shades of a colored stars with perhaps a red focal point star. Such as marking a map? Blue & white. I'm planning to make a blue & white quilt for a friend & this pattern is so cool. Thanks. I would love to make this in shades of purple from pale lavender to deepest purple. Congrats on your being published. That must feel awesome! I would have to make the pink turn into purple! And maybe throw some green in as well! I like your color combination but would probably use batiks. 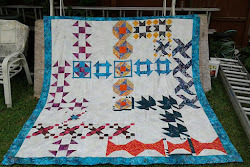 Congratulations,that`s fabulous and great news and more to come.Your quilts is stunning!! I do follow your blog by GFC.Thanks! This is so exciting - I am so proud of you and you must be on cloud 9. All the hard work pays off. I'm into aqua and lime right now and would use those with a third color? Nice job! Congratulations. That has to be so exciting! I think I would do it in blue, purple and yellow. I would use aqua, blue and gray. What a fun quilt! Since almost any color could be used as the focus, I really hope this is very popular. I think my first try would be some aqua or teal with the gray. I would like to use yellow and grey. Your colors are hard to beat! But if I had to choose, I would probably use shades of blue and white, then red or yellow to really make it pop. Keep up the great work, you must be sooo proud! I would like to try it in a red and aqua combo.My favorite colors right now. Congratulations! Your quilt is wonderful and the cover of the magazine is light and summery. I'd make the quilt in similar colors to yours. I love the grays this year and haven't had a try at them yet. I'd love to make it in greens and pink! Congratulations! My DD loves pink~ I wouldn't change it at all. :-) Thanks for the fun! Congratulations on having your quilt in the magazine, how exciting. I would use oranges to yellow. Congrats on your quilt. That would be such a thrill to have a quilt published!! Thanks for the chance to win a copy of McCalls magazine or the gift certificate.. I love your colors but I think it would make a great patriotic quilt also. Since pink and grey are not my colors, I'd probably make it in blues or greens. Thanks for the chance. A beautiful and fantastic quilt, I would do it in the exact colors you did :) With the new American Made Brand Solids. Love the quilt and pattern. Will need to buy magazine. Think this pattern will make a great charity quilt. How amazing to be in a magazine - I think that's just awesome! Love it! I'd use the same colors. Pink and gray are one of my favorite color combinations! Ooooh! Well...can't imagine it in any other colors, than the ones you have used!! It is GORGEOUS!! Loooove it exactly the way it is!! 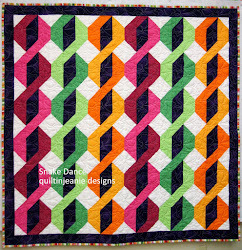 Your color combo is wonderful and just love this quilt. I think I would use the same shades of gray, but would use an accent of a bright green. 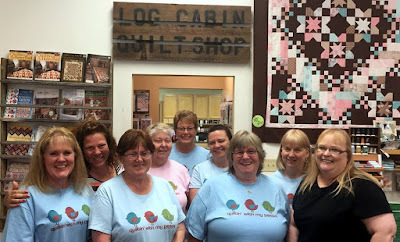 Congratulations on being in McCalls Quick Quilts. I've got some great blues I would love to use! I think it would look amazing in shades of blue-green with a pop of cerulean.